By now, you know that getting goods from manufacturers to consumers is not as easy as it seems. That’s why supply chain professionals have such lucrative careers: They have the monumental task of coordinating everything to ensure that goods are where they are supposed to be at all times. It isn’t just arguable that proper shipping is the most important element of successful supply chain management; it’s the truth. However, too many novice entrepreneurs lack experience with packaging and crating, which are two skills absolutely crucial to save transportation of goods from there to here. To help, here is a rundown of important guidelines for packaging and crating, so you can be even better at your job. Every shipping service has restrictions on the size and weight of packages they will carry. This is so shippers can better regulate how much their containers will hold and ensure efficient operation during transportation. You shouldn’t expect to send immense cargo, like machinery, through the USPS without any hassle — but even if your packages are small, it’s important that you understand their dimensions and weight to send them safely and cost-effectively. When you are shipping individual packages, perhaps if you are an online retailer delivering directly to consumers, weight is the most important measure to track. This is because shipping companies are typically more concerned with weight, given that weight is a more consistent way to allocate operating costs with mixed loads — i.e. when every package within a shipping container is not identical. For density: Multiply height, width and length, and divide by 1,728. Then, divide the weight of the shipment by the result to obtain the density. For girth: Multiply both the width and height of a package by 2, and add the sums together. This number ratioed with the package’s length is its girth. For dimensional weight: Multiply height, width and length, and divide by 139 to obtain the dimensional weight. Compare the result against the actual weight of the package to assess shipping needs. Cardboard is typically the box material of choice in shipping; it is familiar, inexpensive, easy to manipulate and relatively sturdy. 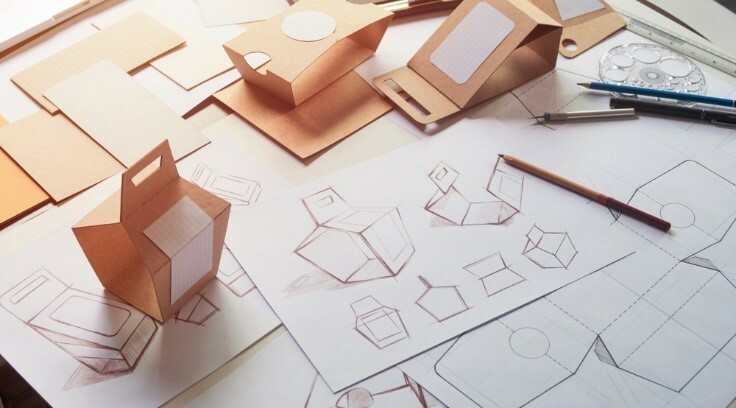 However, you should realize that cardboard isn’t your only shipping box option — and even if you opt for cardboard, you should be using other materials and methods to ensure your shipped items remain safe. The materials you choose to surround your shipments will depend largely on the qualities of your shipments. For instance, if you deal with small, foldable and durable products, you can use Tyvek or chipboard mailers, while if your products are heavy, fragile or oversized, you might need multi-depth boxes, double-wall boxes and other specialty containers. Some types of shipments, such as food or dangerous goods, require containers of specific materials (and security). Then, you need to consider what type of cushioning and void fill to use in your packages. Traditional materials, like plastic bubble wrap and Styrofoam peanuts, are functional but not especially environmentally friendly. If your business boasts a green brand, you might want to look into more sustainable packaging. In any case, you should periodically experiment with impact monitors to ensure that your shipments are not enduring untenable amounts of force at any point in the shipping process. If your business deals with certain types of shipments, keeping records of your shipments is as important as keeping the shipments safe and well-contained. Especially when it comes to food, pharmaceuticals and hazardous materials, accurate and detailed records are mandatory to prevent contamination, mix-ups and other potentially deadly issues. Labels on the outside of packages and those placed inside, either as invoices or on the shipped items themselves, should include all applicable information, such as what the contained items are, what they cost, where they are coming from and going to, when they expire, etc. Then, you should have copies of this information, as well as tracking numbers and estimated arrival dates, saved in your company files. The supply chain is long and complicated, and while modern shipping is leaps-and-bounds better than shipping of the past, it can be among a supply chain manager’s biggest headaches. By knowing more about the regulations and restrictions affecting your shipments, you can ensure more efficient shipping for your business today.